Sailors man the rail on the deck of the Michael Murphy, the last of the Navy's original run of Arleigh Burke-class destroyers, as it heads down the Kennebec River off Phippsburg on Sept. 5, 2012. In pre-election speeches, President-elect Donald Trump talked about the need for additional missile-defense capabilities offered by the Arleigh Burke-class destroyers built in Maine and Mississippi. Sailors man the rail on the deck of the Michael Murphy, the last of the U.S. Navy’s original run of Arleigh Burke-class destroyers, as it heads down the Kennebec River off Phippsburg on Sept. 5, 2012. 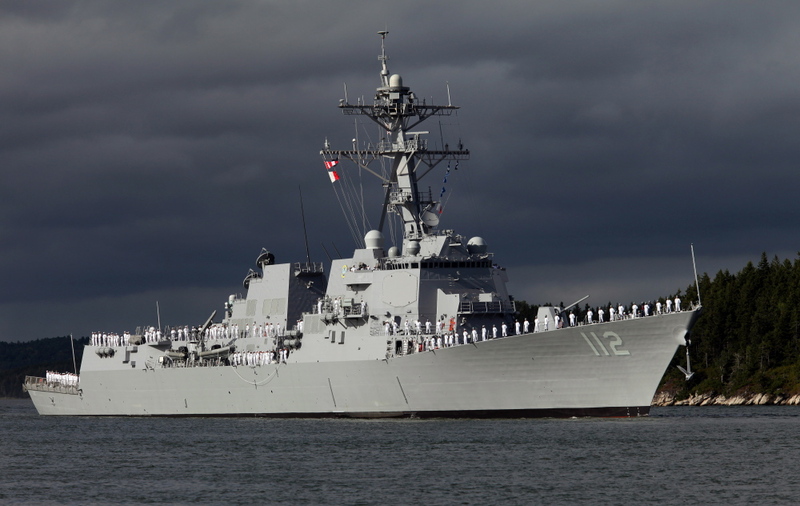 In pre-election speeches, President-elect Donald Trump talked about the need for additional missile-defense capabilities offered by the Arleigh Burke-class destroyers built in Maine and Mississippi.